Jim Lonergan is a partner in the Real Estate, Land Use and Environmental Practice Group in the firm's Los Angeles office. Mr. Lonergan has represented landlords in office, retail and industrial leasing projects of all sizes. He has also represented national tenants in leasing, acquisition and disposition of sites throughout the Western United States. Mr. Lonergan has been heavily involved in all aspects of real estate development, including land acquisition and assembly, subdivision, construction and permanent financing; leasing space to major department stores, mall tenants and office tenants; dealing with various city agencies; and negotiating and drafting contracts with managers, contractors, architects, and consulting firms. He has represented owners and lenders on major hotel and office property acquisitions, sales and financing. Lastly, Mr. Lonergan has substantial experience in a variety of real estate and real estate financing transactions, representing domestic and foreign developers, investors and lenders. 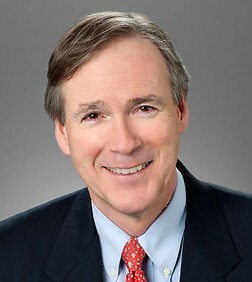 Mr. Lonergan has represented lenders, including insurance companies, banks, and various public and private pension funds, in connection with real property secured loans for many types of property, including hotels, golf courses, office buildings, shopping centers, condominiums and raw land. He has participated in negotiating and documenting the restructure of defaulted loans and leases.